Black Heart and Sideshow Collectibles have teamed up to bring us a new life-sized Nosferatu bust. This bust takes full inspiration from Max Schreck’s Nosferatu (1922) Count Orlok. Schreck’s legendary vampire lives in this custom bust that looks hauntingly real. You can pre-order this bust now from Sideshow Collectibles for $649.99 with shipping expected to start May-June 2016. This Nosferatu bust stands 21 inches tall, has a 12-inch width, and weighs in at 16 pounds. The next episode of AMC’s The Walking Dead Season 6 is titled simply “East.” Episode 615 is directed by Michael E. Satrazemis set to premiere this Sunday, March 27, 2016. Here we have a few photos and videos for the upcoming episode. AMC released a special behind the scenes video from Preacher Season 1. 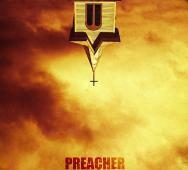 Preacher premieres May 22, 2016, but until then, watch this video with Seth Rogen and Evan Goldberg. Listen to them talk about bringing the comic alive. 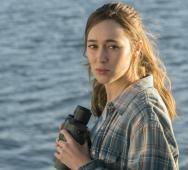 AMC released a photo pack of 16 new photos from Fear the Walking Dead Season 2. We all knew that the new season will take place on the water but glad to see pictures confirming this fact. AMC’s Fear the Walking Dead Season 2 premieres on April 10, 2016. 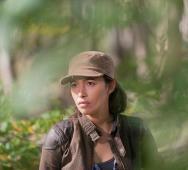 Hopefully, this zombie series found its footing and returns stronger. Donald Farmer‘s Shark Exorcist (2015) film hits DVD this June 24, 2016. Their official website has the pre-order for $15.95 while Amazon.com has it for $19.95. We also have the new trailer below for you. 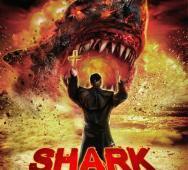 Shark Exorcist stars Angela Kerecz, Roni Jonah, Alaine Huntington, and Bobby Kerecz. 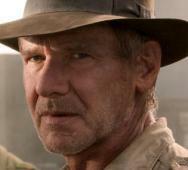 Disney has announced that they are moving forward with a new Indiana Jones 5 (2019) movie with Harrison Ford to star and Steven Spielberg to direct. This film will release in movie theaters on July 19, 2019. With a release date so far in the future, we only have this early news so far with more to come in the future. Robert Eggers’ The Witch (2015) is coming on Blu-ray/DVD this May 17, 2016, via Lionsgate. Bonus features include Audio Commentary with Director Robert Eggers, “The Witch: A Primal Folklore” Featurette, Salem Panel Q&A, and Design Gallery. One of the better movie releases this year, definitely check this film out when you can. 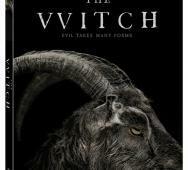 Anya Taylor-Joy, Ralph Ineson, and Kate Dickie star in The Witch. 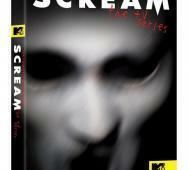 Anchor Bay Entertainment and Dimension TV announced that MTV’s Scream: The TV Series Season 1 will release on DVD this May 10, 2016. DVD bonus features only include Gag Reel, Deleted Scenes and Promotional Gallery. Full details and cover art below. CW announced they are renewing 11 of their TV series lineup including iZombie (Season 3), Supernatural (Season 12), The Vampire Diaries (Season 8), and The Originals (Season 4) for 2016 - 2017. This is awesome because CW has one of the best TV lineups and it would be a shame if any were cancelled. Full press release and details below. Robert Kirkman’s Outcast Season 1 premieres June 3, 2016. 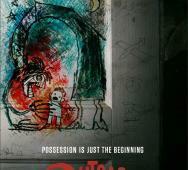 Cinemax is so confident in the new horror TV series that they even ordered an Outcast Season 2. I cannot wait to see how Robert Kirkman tackles demon possession with Wrenn Schmidt, Patrick Fugit, and Philip Glenister starring. 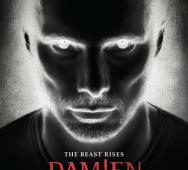 A&E’s Damien Season 1 recently fell victim to the Omen Curse. This video sheds some light on what happened behind the scenes while filming the series. The short is that there was an unusual amount of paranormal/strange events occurring with various birds types. 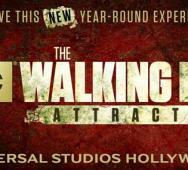 Universal Studios Hollywood has announced that they will now feature The Walking Dead year-round starting this Summer 2016, blessed by Greg Nicotero. During the Halloween Horror Nights, The Walking Dead is one of the biggest events, and it is awesome to hear that you can experience it year-round now. 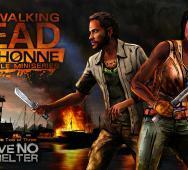 Telltale’s The Walking Dead: Michonne - Episode 2 - Give No Shelter premieres this March 29, 2016. We also included a video released by Telltale showing the choices that gamers of the first episode made during their gameplay. The art looks awesome and like standard key art released for a Telltale The Walking Dead game. 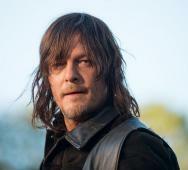 Here we have the photos and preview videos for AMC’s The Walking Dead Season 6 Episode 14 titled “Twice as Far.” Alrick Riley directs this episode and the photos feature Norman Reedus and Josh McDermitt. Paramount Pictures shared 26 photos from Dan Trachtenberg‘s 10 Cloverfield Lane (2016). 10 Cloverfield Lane is now playing in movie theaters. John Goodman, Mary Elizabeth Winstead, and John Gallagher Jr. star in 10 Cloverfield Lane. J.J. Abrams produced the film with a screenplay from Josh Campbell and Matthew Stuecken. Tobe Hooper‘s The Texas Chainsaw Massacre 2 (1986) is getting a collector’s edition Blu-ray release. This year is the 30th anniversary of the film and Scream Factory has released the full details for the nearly five hours of new bonus features content. The Blu-ray art looks phenomenal. 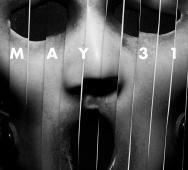 MTV and Dimension TV‘s Scream Season 2 premieres this Tuesday, May 31, 2016. Below is the new poster, plot, and character details. Willa Fitzgerald (Emma), Sean Grandillo (Eli), Austin Highsmith (Karen), John Karna (Noah), Kiana Lede (Zoe), Karina Logue (Tina), Tom Maden (Jake), Tracy Middendorf (Maggie), Anthony Ruivivar (Sheriff Acosta), Santiago Segura (Gustavo), Amadeus Serafini (Kieran), Bex Taylor-Klaus (Audrey), and Carlson Young (Brooke) star in MTV’s Scream. Syfy has revealed the new cast lineup for Sharknado 4 to include familiar faces Tara Reid (yes, she is back), Ian Ziering, David Hasselhoff, and Ryan Newman. 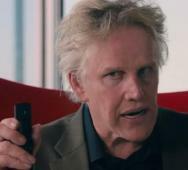 New Sharknado 4 cast members include Gary Busey, Tommy Davidson, Imani Hakim, Cody Linley, Masiela Lusha, and Cheryl Tiegs. There is also some speculation that Donald Trump may appear, that seems tacky to me. More Sharknado news is coming soon I bet.